I have been traveling A LOT lately. It’s been really quite hectic. One of my recent trips was out to Tacoma, WA. Somehow, I managed to score a first class upgrade on all 3 legs of my trip! Yes, 3 legs. The trip out had a stopover in Denver, but on the flight back home we managed to snag a direct (red-eye) flight. On the first leg of my trip out to SEA-TAC, we were served breakfast. A nice little breakfast sandwich (yay protein!) and some fruit. 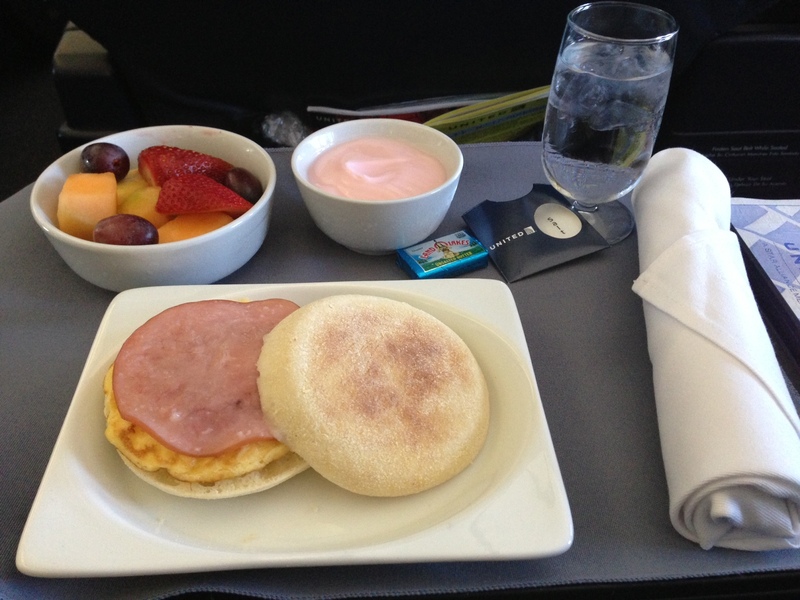 Ham and egg sammich, yogurt and fruit. 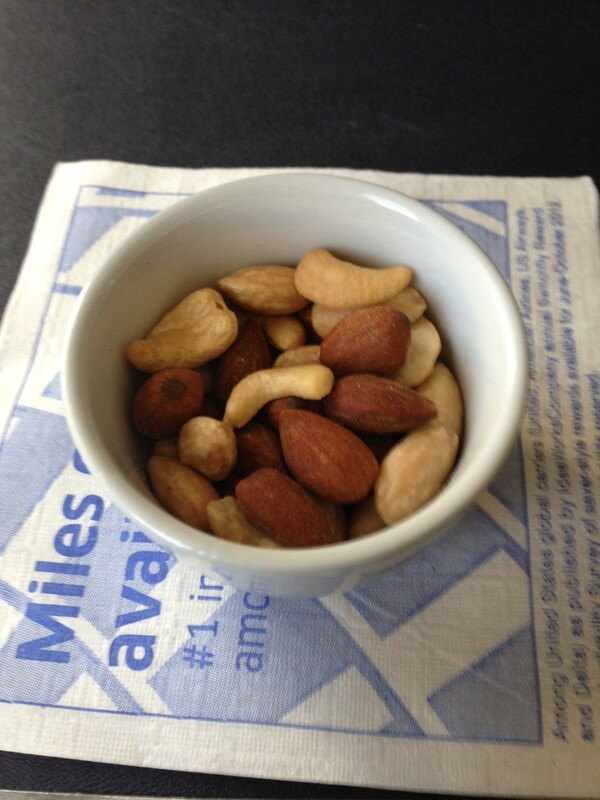 On the second leg, we started out with a little bowl of warmed up almonds and cashews. It might be silly, but it’s really the little things that make me the most giddy about traveling first class. I really don’t care about the booze. But hot towels for your face and hands? A bowl of piping hot nuts? THAT’S where it’s at for me! So tasty! And warmed up is perfect when on a flight with the AC cranked up! On the trip back I have no idea if they offered anything. It had been a long week at the customer site, and since we were flying home on the red-eye (flight departed at 2AM home time!) I was happy to take advantage of extra comfortable seating to just sleep! Going on the road again soon, hopefully I get more upgrades; they make it all just a bit more bearable! 1 Response to First Class Upgrade!